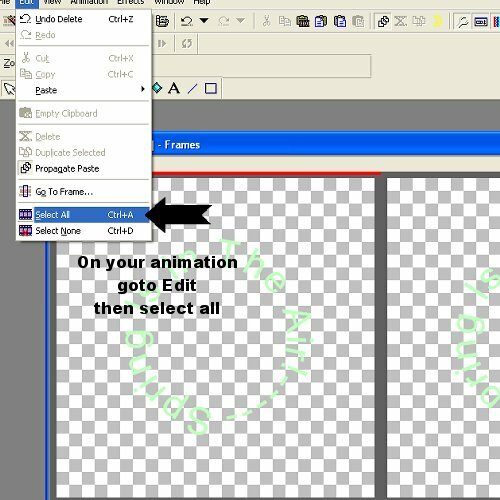 Hello all, i thought i would write this tut to help those who find adding premade animations difficult to do.. 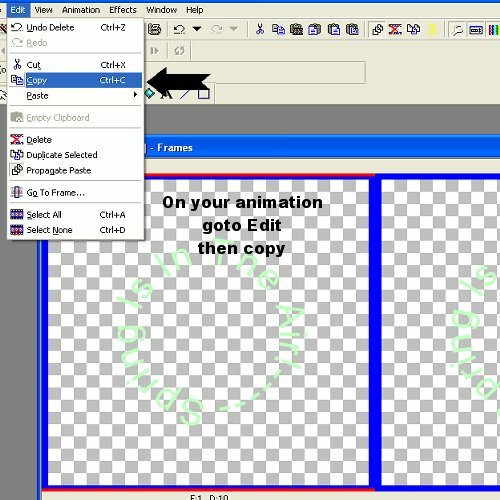 The animation example i am using is Cocojax's green spring time animation, thank you Ellen..
2..goto file, open and search for the spring time animation and open it. 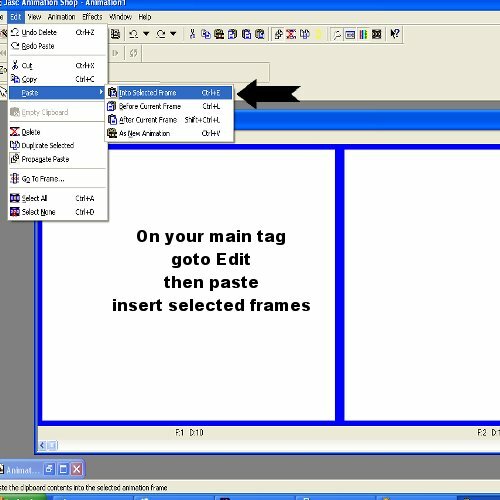 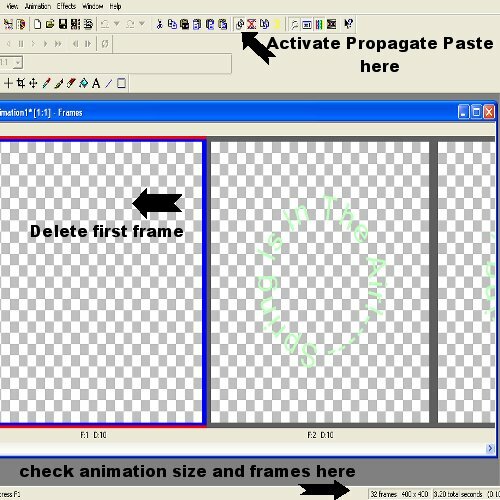 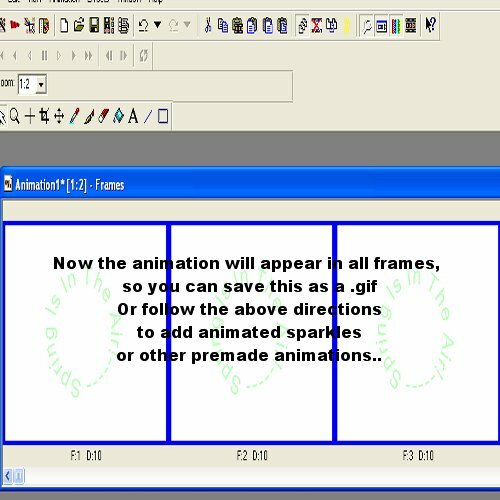 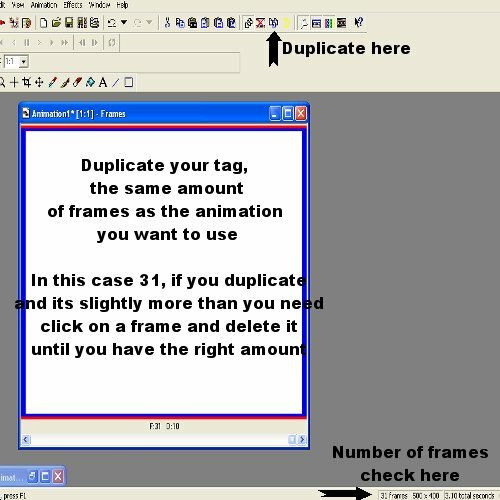 3..Once the animation is in animation shop Delete the first frame as it is blank..
9.. i have used Cocojax's spring wordart, but also a few small little animations that can be found on the internet, you do have to watch artwork though, but can find some lovely floaty, or blings or twinks. 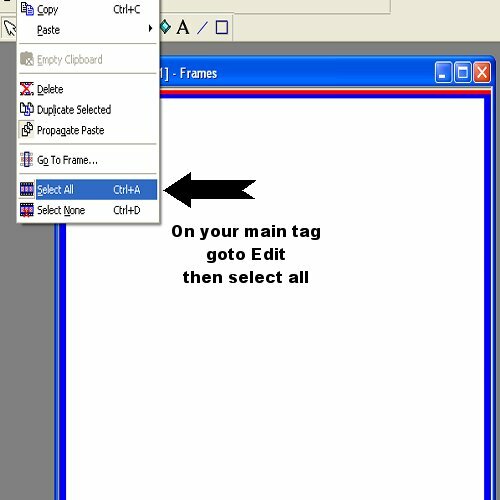 which will make a nice addition to any tag.